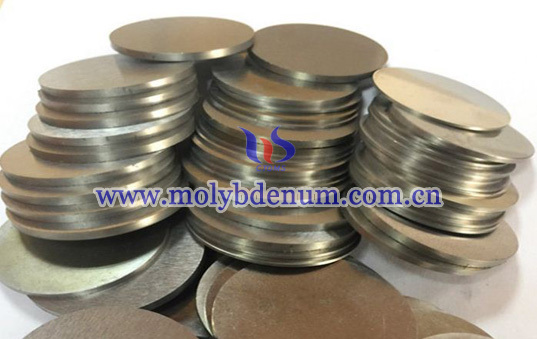 TZM molybdenum alloy sintered,there are protection of hydrogen sintering and vacuum sintering, the sintering process in the protection of hydrogen, the reduction of hydrogen, oxides of molybdenum powder is reduced with hydrogen, the oxygen content of the material is reduced to several tens μg / g or less. 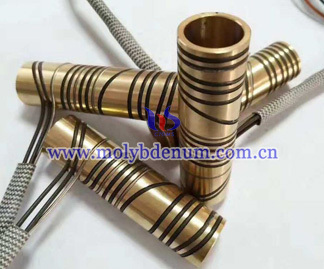 For adding titanium, zirconium, hafnium, niobium and other active elements molybdenum alloy, the alloy elements of high activity with hydrogen gas in the reaction of the impurity oxides, nitrides, hydrides, leading to the high impurity content of molybdenum alloys high, seriously affecting the molybdenum alloy mechanical properties. Can effectively reduce the vacuum sintering molybdenum alloys of these oxygen, nitrogen and other impurities in gases, in a vacuum sintering process, generally will be added a slight excess of carbon (relative to fixed component), through carbon reduction of metal oxides deoxygenated. Carbon reduction system of the metal oxide to form metal carbides and CO, and MoO2 disproportionation under high vacuum metal Mo, MoO3 reaction gas is withdrawn, the two reactions are primary deoxidation process, vacuum sintering mechanism. Prepared by conventional powder metallurgy TZM alloy billets, according to the mass fraction of molybdenum powder were added TiHx, ZrHx, rates were 0.5%, 0.09%, and then in the sample were added 0.04%, 0.07%, 0.10% 3 different proportion of carbon black, and then the V-type mixed powder for mixing powder, measured after mixing powder molybdenum alloy powder oxygen content. 2.0 t using Φ50mm isostatic pressed into rods, sintering at 1940 ℃ vacuum induction, vacuum sintering TZM molybdenum alloy detecting the oxygen content, carbon content. Molybdenum mixed powder mainly composed of oxygen in the oxygen content of molybdenum powder decision, all the oxygen content of the alloy powder while high, because the total content is small, so the molybdenum alloy powder has little effect on the oxygen content.